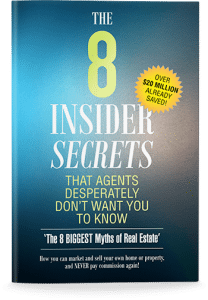 Co –Founder of Agent in a Box, Ben Manning has been involved in a number of online real estate businesses and is an expert in Internet Marketing and Strategy. He has diverse management and consulting experience across a range of industries, including retail, finance, real estate marketing, publishing and advertising, and has taught university undergratuate business courses, including strategic management. Ben has a degree in international business, and is currently undertaking a Ph.D. focused on Small Business Social Networks, Collaboration and Leadership. His knowledge and experience provide a unique advantage to Agent in a Box members who want to maximise their properties exposure online. Christian is not your ordinary Web Developer and IT expert. He has vast experience in website, software, and systems development and design across the globe. As CEO of Datanova, Christian brings a wealth of experience to Agent in a Box by way of his acute online business acumen and ability to envision and implement simple functionality for the users/clients of any website, especially the members of Agent in a Box. With over twenty years experience in real estate management and investment, retail fashion, vehicle fleet sales, and small business, Karen Heppell is a vital member of the Agent in a Box Team. Her perspectives and experience are part of the fabric of Agent in a Box, and her understanding of the sales and negotiation process go a long way toward providing only the best advice and support for AIAB members.